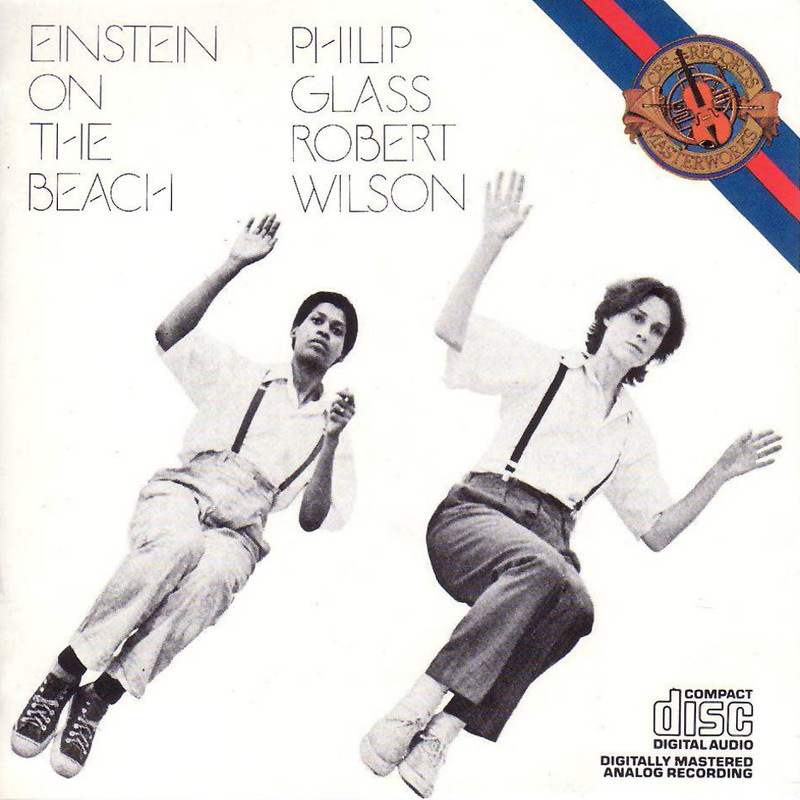 The music for “Einstein on the Beach was written in the spring, summer and fall of 1975. Bob Wilson and I worked directly from a series of his drawings which eventually formed the designs for the sets. Prior to that period, we had reached agreement on the general thematic content, the overall length, its divisions into 4 acts, 9 scenes and 5 connecting “knee plays”. We also determined the makeup of the company-4 principal actors, 12 singers, doubling when possible as dancers and actors, a solo violinist, and the amplified ensemble of keyboards, winds and voices with which my music is usually associated. The most important musical material appears in the knee plays and features the violin. Dramatically speaking, the violinist (dressed as Einstein, as are the performers on stage) appears as a soloist as well as a character in the opera. His playing position-midway between the orchestra and the stage performers-offers a clue to his role. He is seen then, perhaps as Einstein himself, or simply as a witness to the stage events; but, in any case, as a musical touchstone to the work as a whole. Music & Lyrics: Philip Glass. Design & Direction: Robert Wilson. Philip Glass Ensemble: Jon Gibson: Soprano saxophone, flute. Philip Glass: Organ. Iris Hiskey: Voice. Richard Landry: Flute, soprano saxophone, bass clarinet. Kurt Munkacsi: Sound mix. Richard Peck: Alto saxophone, flute. Michael Riesman: Organ, synthesizer bass, additional keyboards. Conducted by Michael Riesman. Small Chorus: David Anchel: Bass. Sean Barker: Bass KNEE 4. Iris Hiskey: Soprano. Marc Jacobi: Tenor. Dora Ohrenstein: Alto. Phillip Gavin Smith: Tenor KNEE 4. Large Chorus: George Andoniadis. Connie Beckley. Ritty Ann Burchfield. Bruce Burroughs. Frank Conversano. Grethe Holby. Jeannie Hutchins. Marc Jacobi. Richard Morrison. Dana Reitz. Marie Rice. Ronald Roxbury. Forest Warren. David Woodberry. Spoken text by: “Airconditioned supermarket”: Lucinda Childs. “Paris”, “Two lovers”: Samuel Johnson. “These are the days”, “Do you know”, “I feel the Earth move”, “Mr. Bojangles”: Christopher Knowles. Produced by Kurt Munkacsi and Philip Glass. Recording Engineers: Roddy Hui, Kurt Munkacsi, Wieslaw Woszczyk. Assistant Engineer: James Farber. Mixing Engineers: Kurt Munkacsi, Michael Riesman. Recorded & mixed at Big Apple Recording Studios, New York, N.Y. Mastered by Bill Kipper, Masterdisk, New York, N.Y. Published by Dunvagen Music Publishers, Inc. (ASCAP). © 1976 Philip Glass.